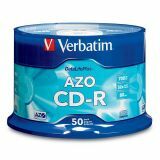 Verbatim DataLifePlus Recordable CD Media - CD-R branded media offers a 700MB/80 minute capacity. Compatible for maximum 52X speed recording. Backward compatibility with existing 1X to 48X drives. 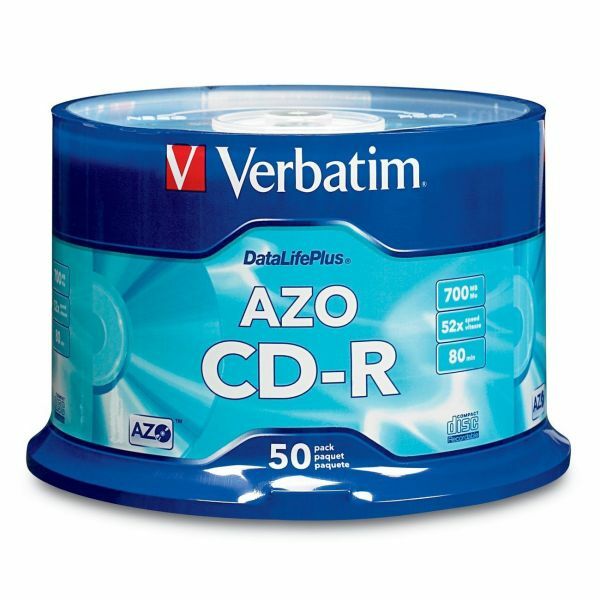 CD-R is ideal surface for referencing using CD markers or labels. High Speed/High Performance Super Azo Dye Technology Ultimate performance recording dye for burning at high speed Number of Sides: 1 Size Media: 120mm Unformatted.